From the bestselling author of What's the Matter with Kansas?, this witty and highly provocative book asks a simple question: How is it possible that the disastrous collapse of the free market economy in 2008 could have heralded a popular revival—of the right? 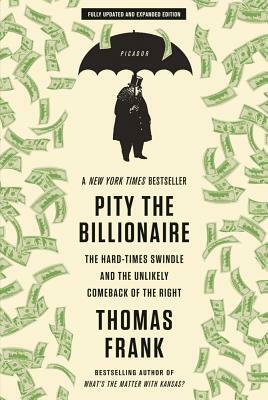 In Pity the Billionaire, a brilliant, funny, and disturbing tour de force, Thomas Frank analyzes the sleight of hand involved in the right's resurgence—all the upside-down grievances that have transformed economic suffering into valentines for the rich and powerful. This great chronicler of American paradox dissects the contradictions at the heart of the country's politics, and in this "dazzling" book once again shows himself as "one of the best left-wing writers America has produced" (The Guardian).